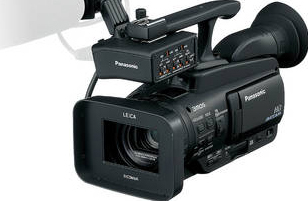 The Panasonic HMC 45 Hi Def camera is one of the key tools JSVOAV uses in its multimedia production services. Our studio is equipped with a green-screen set, teleprompter, professional lighting, multiple wireless mike systems, boom shootgun mike and more. Our multimedia development software suite includes Adobe Premiere Pro and Adobe Captivate, as part of the complete Adobe eLearning and Creative Suites. Our recent video production activities are part of JSVOAV’s subsidiary, Simple English Videos. Please explore www.simpleenglishvideos.com for examples of production capabilities and learning design in the English Language Training space.